Melbourne Development Circle presents an evening with Jason Potts, Director of the RMIT Blockchain Innovation Hub, Nick Byrne, CEO and Co-Founder of TypeHuman, and Amanda Robinson, Head of Social Innovation at the Australian Red Cross, discussing the impact that blockchain technologies will have on the most vulnerable and marginalized in our society, and the role of the for-purpose sector in facilitating blockchain-enabled social change. The panel will be facilitated by Ellie Rennie, Chief Investigator of the ARC Linkage project the Dynamics of Digital Inclusion. Blockchain remains on the verge of breaking into humanitarian work. How can we leverage technology and human ingenuity to improve situations of vulnerability and disadvantage? Perhaps of all the new technologies that comprise the Fourth Industrial Revolution, blockchain shows the most promise for radical disruption. In late 2017, Bitcoin’s skyrocketing prices brought the conversation on its underlying technology, blockchain, to the forefront. Blockchain has been hailed by some as a new operating system for society, and has been compared to the creation of the internet for the extraordinary impact it could have on how we transfer things of value to each other. In particular the international community have observed how the technology— distributed, transparent, autonomous and its peer-to-peer system for exchange —can be applied to serve the sustainable development goals. Of the most promising advancements being made is in the area of financial inclusion and banking the unbanked - connecting people who are financially excluded from formal financial systems to access finance required for their basic needs. For the millions of undocumented persons access to identity services is a key barrier to finance, amongst myriad of other formal services, and groups like ID2020 are making progress towards identity inclusion. Piecing these solutions together with supply chain transparency, property rights, and access to safe and fair work, we can start building a picture of a radically more inclusive future. While these types of solutions have tremendous potential, the blockchain ecosystem in Australia is in its infancy. Join the Melbourne Development Circle to explore what this future looks like in Australia and overseas, how blockchain can transform the future of the for-purpose sector, and what is our role, as individuals and organisations, to harness this potential for the common good. Ellie Rennie is an Associate Professor and a Principal Research Fellow in the School of Media and Communication at RMIT. Her work focuses on the social consequences of technological change, including digital inclusion. She is Chief Investigator of the ARC Linkage project the Dynamics of Digital Inclusion, working with industry partner One Education, and is leading a project on cyber safety in remote Aboriginal communities for Telstra, among other projects. Her book publications include: Internet on the Outstation: The digital divide and remote Aboriginal communities (multi-authored with industry partners, Institute for Network Cultures, 2016), Life of SYN: A Story of the Digital Generation (Monash University Press, 2011); Community Media: A Global Introduction (Rowan & Littlefield, 2006); and Using Media for Social Innovation (Intellect), (co-authored with Aneta Podkalicka, 2017). Jason Potts is a Professor of Economics in the School of Economics, Finance and Marketing at RMIT University, and Director of the Blockchain Innovation Hub, the first social science research institute on Blockchain in the world. Dr. Potts is a Fellow of the Academy of Social Sciences of Australia and is one of Australia’s top economists, specialising in economic growth, innovation and institutions, as well as the theory of economic evolution and complexity. His work has been applied to the economics of creative industries, intellectual property, and cities, and common pool resources. He received the Australian Research Council's Future Fellowship, and won the International Joseph A. Schumpeter Prize. He has written five books and published over 80 articles on these themes, and is a regular media commentator. Nick Byrne is the CEO and co-founder of TypeHuman, one of Australia's first Blockchain Venture Studios working with leading organisations across Australia. Typehuman is accelerating the development of the decentralised internet, building and growing Web 3.0 ventures by leveraging their network, expertise and access to capital. It was founded on a belief to bring about a more human centric web. Nick is also a recent fellow of Intersticia Foundation. Amanda Robinson is Head of Social Innovation at the Australian Red Cross, a transformative and strategic leadership role that has responsibility for leading the development of a social innovation strategy to drive impact at scale. 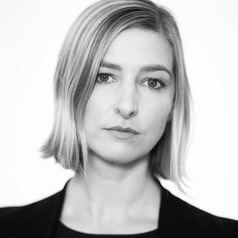 Amanda has extensive experience in digital products and marketing and was previously Head of SEEK Volunteer, responsible for managing SEEK's social initiative connecting volunteers with the organisations needing their help. She has a keen interest in emerging technology particularly for helping to solve complex social problems. Your ticket includes light refreshments. Please advise us when purchasing your ticket if you have any dietary requirements. The Melbourne Development Circle thanks RMIT University, TypeHuman and the Australian Red Cross for partnering in this event. Blockchain and the future of the for-purpose sector at City of Melbourne Bowls Club Inc.